Date: 11 July 2017. Time:11:00-18:00. Audience: 30 people (in person + watching online). GARANTIS IT Solutions Ltd. takes active part in organizing the event and presenting some information/sharing experience about Polarion projects. 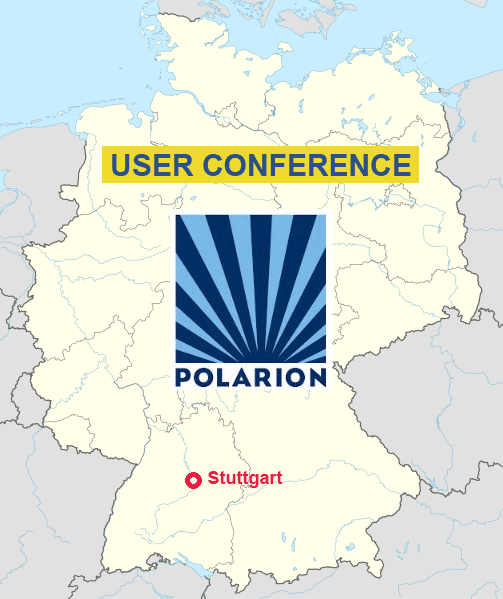 This Conference is a good chance for users of Polarion to share experience, find solutions, learn new ways to solve common tasks, to find out about the future plans for Polarion ALM product. ideas for the new projects – What we would do different/better. Mistakes & Solutions/Recommendations. This is a follow up to the presentation from 2016 PLM-Europe. "Polarion Customization (presented by GARANTIS IT Solutions)"
15:45-16:30 Integration ALM/PLM. Questions from real projects. The Conference started a little bit later, at around 11:30 (instead of 11:00). Siemens meeting room was located on the last floor of a nice modern building. There was a terrasse where we could go during coffee break. There was a good skype connection and many people listened and watched the presentations via skype. The scheduled presentations finished at 17:00 and some people left. However the open discussion continued untill 18:30. We had a good chance to ask questions about functionality, problems and plans related to Polarion ALM and Teamcenter. "WISH LIST" - a centralized list of what users would like to add/change in Polarion. It is stored in Polarion project, hosted by Polarion User Group. "BEST PRACTICIES" - you can find recommendations for different groups of users: for every user, for admin (IT), etc. It is stored in Polarion project, hosted by Polarion User Group. Project name "PUG_BestPractices". "CHANGE REQUESTS + BUG REPORTS" - list of prioritized Change Requests. Users can see which problems are already known. Project name "PUG_ChangeRequests". What are other ADVANTAGES of Polarion User Group? to find out the latest news about the products and the strategic plans for the future. to have a chance to see key people (Project and Product Managers, Developers, Consultants) and to ask questions. If you do not come to the conference - then you do not have access to these people. to listen to other people, about their experience. Case stories presentations show how the products can be used and give you good ideas. become known in the professional circles. If you have something to say - then the conference is the best place to become known and to share your ideas. news about latest and next versions of Polarion ALM (from Siemens/Polarion). The User Interface of Polarion will change in 2017-2018. It will look similar to other Siemens products. case studies from customers, including our presentation "Polarion Customization (presented by GARANTIS IT Solutions)"
discussion of problems the customers face. Looking for solutions. how to share information about Polarion: best practices, video trainings, knowledge base, etc ? User Interface of Polarion is going through a set of changes, mainly to incorporate and comply with SIEMENS standards and GUI guidelinces. "Flat" design: the GUI of Polarion will look more like the current GUI of Active Workspace, with "Flat" design. CONTENT + UI - use simple minimalistic design to support user content. Optimizations: Apart from visual changes there is some optimization of the GUI going on, to optimize it for speed (reduce size of images/icons, remove not needed layers, simplify, etc). Polarion already started changing - to look more like other Siemens products: ActiveWorkspace, LMS, etc. In one of the next releases: re-coloring to comply with Siemens standards, typography will be changed. Around 1400 icons will be updates, to have moder look. (7) Don't make me think! version 18.0 - KanBan Drag & Drop, interactive Agile board. restrictions on WHO can export WHAT. support embedding info into the document to show WHEN and WHO exported the Document. Picture. From one polarion project to many projects for many products. Next step: integration Polarion ALM + Teamcenter. This is a Case Study about Customization of Polarion. It started as specific technical solutions for Feature Driven Development customization and now it continues as Multy-Project / Multy-Product strategy. Also we touched topics common for all projects: * How to convince management that customization is needed? * How to administer multiple projects and propagate changes effectively? * What do you need to customize? * How to inform team about customizations? 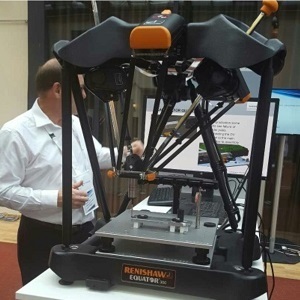 CUSTOMER STORY:The company wants to use Polarion ALM and Teamcenter for Design, Development and Testing of all parts of the product, i.e. SYSTEM, Software, Mechanics, Electronics. Polarion TEMPLATES are defined for each sub-project. Based on these templates many Polarion projects are created. BOM/EBOM in Polarion. BOM - Bill of Materials, EBOM - Engineering Bill of Materials. Defined/stored/managed in Polarion. Exported to another tool to be used in Product Configuration. BOM is always linked to CAD model, i.e. in CAD you can see the "place" of the item. In polarion there is no CAD model, i.e. no"place". The data in Polarion can be used to allow user to Configure their own "Tractor" - the needed items will be selected together as a group of needed items/materials for each chosen by user config option. From presentation of Daniel Höllisch, AGCO Corporation. Integration Teamcenter + Polarion - EXISTS ! ..and it is getting BETTER with every release. WHER STORE WHAT? - that is the Question! 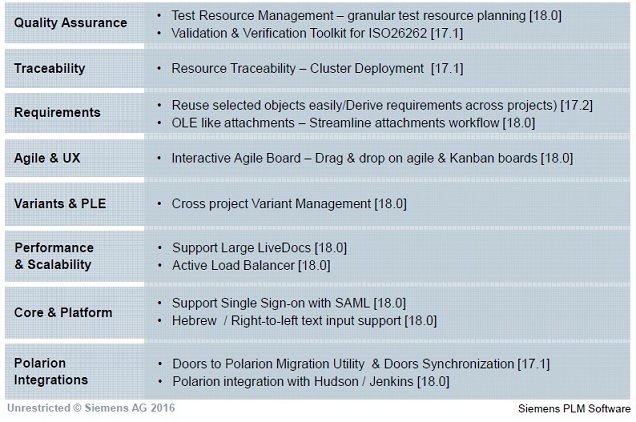 Requirements, Change Requests, Defects - is their place in Teamcenter or in Polarion? Picture. WHER STORE WHAT? - that is the Question! This is a presentation about Teamcenter+Connector+Polarion integration. SmartFactory OWL has this connection installed and configured. If you are looking for similar connection - ask SmartFactory OWL! 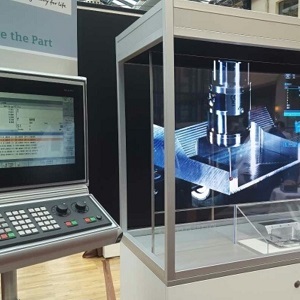 The “PLM/ALM for Smart Products” research project in the SmartFactory OWL aims to explore intelligent development processes for smart products with regard to Industrie 4.0. In this context, Siemens Teamcenter and Polarion ALM are used to create detailed use cases for the consistent management of product data to be tested regarding applicability in specific product developments. This presentation shows specific PLM/ALM use cases that are realized in der SmartFactory OWL with the use of Siemens Teamcenter and Polarion ALM, discussing the advantages of the current PLM/ALM integration from the user’s point of view and providing recommendations for improvements. BOM - Teamcenter has strength to handle BOM - therefore in this example BOM is stored in Teamcenter. Electric part element in Teamcenter contains binary attachment, which is the BUILD (firmware) - produced by the "build" function in Polarion. Builds - can compile for Android, can be compiled in Polarion - and then can be stored in Teamcenter as an attachment. Technically is done using small proxy. => advantage : always to have latest Binary in BOM. Some notes from our experience and other users, from exhibitions and conferences. modern product include "hardware" product + "software" product. Software is everywhere. not conencted PLM and ALM tools can cause errors in fucntioning of "software" + "hardware".These failures have affected both the consumers and the vendors, in some cases with dramatic effects. In most of these situations the cause is the disconnection between PLM and ALM. SOLUTION: better connections betwee PLM+ALM. Better connection between Teamcenter and Polarion. Better product "Teamcenter-Polarion Connector"
Polarion vs Teamcenter? What is the Future? There was the same information comming from different sources during the conference: Polarion and Teamcenter will co-exist in parallel. They will be gradually connected better and better. There is no need to switch from Teamcenter to Polarion or from Polarion to Teamcenter. Each product has own advantages, and together they allow to solve Product Development tasks : Teamcenter can be PLM tool, and Polarion - ALM tool. For example, for Software Development it is better to use Polarion. But for hardware parts and mechatronics - Teamcenter. A lot of work is going on to integrate Teamcenter and Polarion. There are already examples of this integration working. 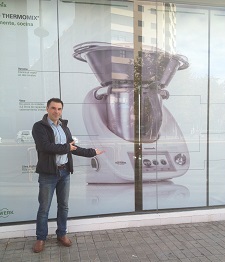 Next steps are to make it "smoother" , "more natural", to provide more functions and satisfy requests from customers. Why Polarion ALM is good and needed? - (*) Polarion is for a system-driven product development, (*) it is a complex tool, but user experience is made as easy as possible, (*) roll-out of Polarion is "just days", not weeks or months. As Jiri Walek said: "there is only one letter difference "A" and "P" - between ALM and PLM". ALM = is "more than Requirements" => "down to the software line of code". 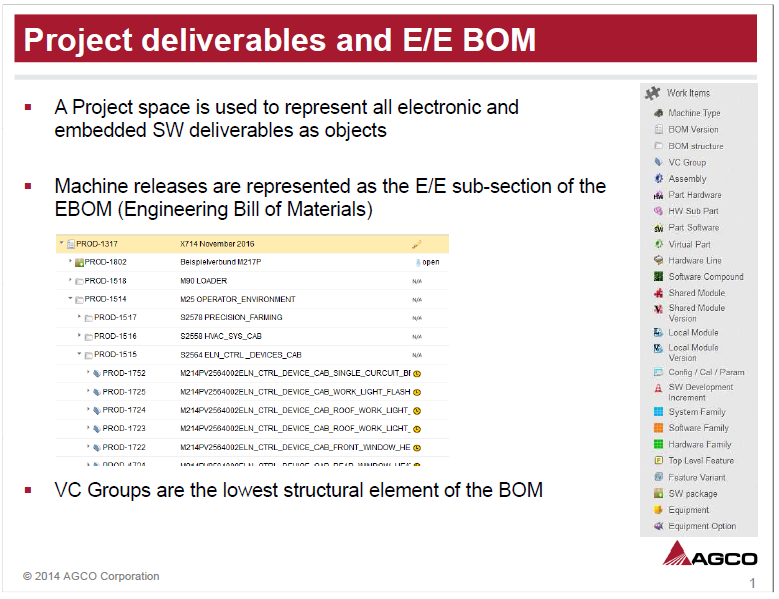 PLM => down to the Bill Of Materials (BOM) and simulation of the product. ALM and PLM have a lot of common, but obviously there is a difference: what is managed, who works with each tool, how users expect to see information, what functionality and behaviour they expect from the tools in Product and in Application Lifecycle Management. Polarion offers a complete Application Lifecycle Management (ALM) suite to offer greater visibility into the software development process. Polarion is a unified solution for Requirements, Quality, and Application Lifecycle Management. Polarion Software was acquired by Siemens PLM Software in January 2016, expanding their support for the growing ALM market. "Digitalization is everywhere and is changing all industries". Siemens, after recent purchases, is in good shape to be in a leading position for complete PLM. There is a lot going on about Digital Factories, Smart Factories. The main idea of Digital Factory: to have complete continious chain from Product Concept to Product Design, and then "feeding" the design documents to robots in Digital Factory, allowing them to make the product (or parts) autonomously. Even though Polarion does not have direct link to Digital Factory concept, it becomes part of the PLM/ALM solution and consequently is used together with Teamcenter to describe Specifications and Design, or to manage Requirements, Defects, Change Requests etc. Technically Teamcenter has (will have) programming interface to the machinery in the Factory and can control manufacturing processes. A good example is a company "Local Motors", who 3D printed a complete car. See you at PLM Europe - 2017 ? 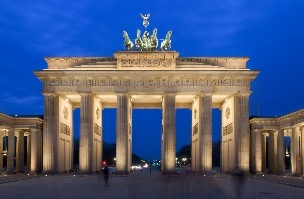 Come and meet GARANTIS IT Solutions at PLM Europe 2017 in Berlin. We will be pleased to share and demonstrate our knowledge in Polarion ALM. Which ALM solution is good for you? We are involved every day in short-term and long-term contracts during all stages of the software development projects. To share our knowledge with you will be a pleasure for us.